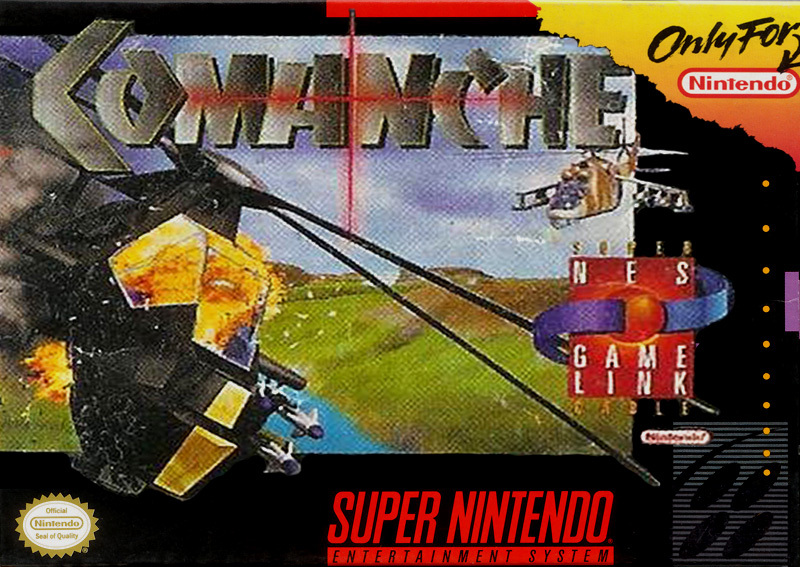 Comanche in an unreleased Super FX game, which was going to be voxel-based. 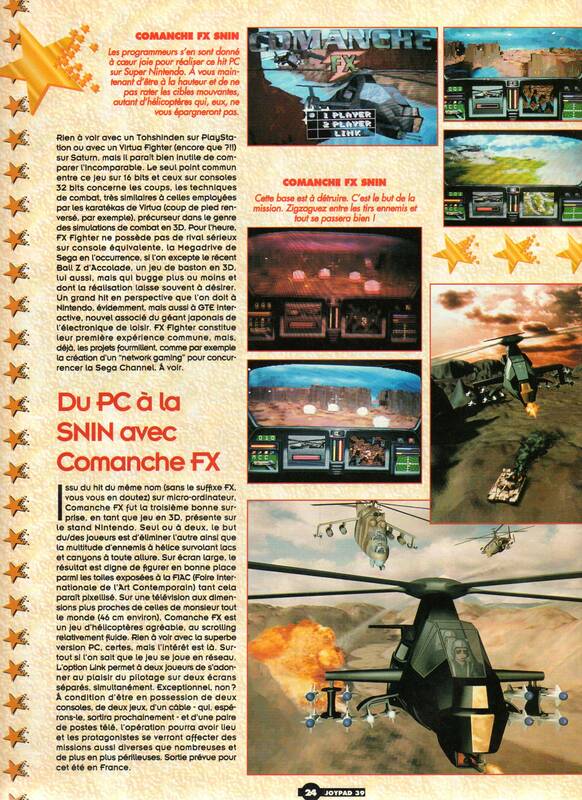 The Hype: NovaLogic's assault helicopter hit for the PC, ported to the SNES in all its Mode 7 glory. 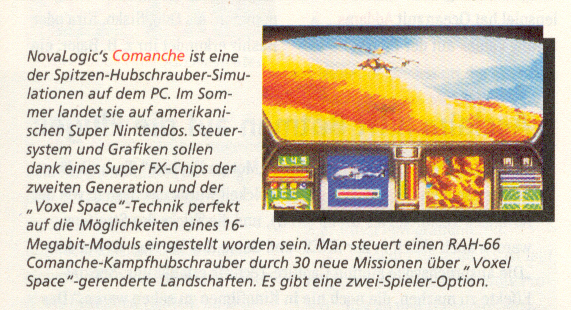 At the 1995 E3 show, Nintendo had the prototype connected to a swanky pilot's chair. What Happened: A Nintendo spokesperson says that the game just wasn't up to snuff. Graphics and speed problems could not be resolved, so the project was killed. A classic case of quality over quantity. One interesting thing is that this game was going to use a link cable for networked multiplayer, which was going to be called the Super NES Game Link Cable. Obviously this accessory did not come out, as this game was cancelled. The box mockup and the screenshots below indicate it was likely implemented in the prototype. Someone has published a video of the game at E3 on youtube (you can even briefly see the aforementioned chair). 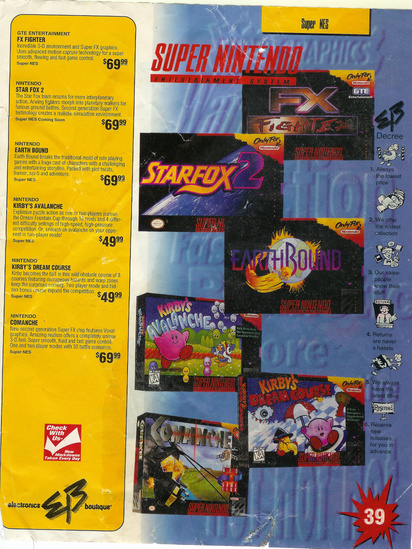 Box art (edited by Carnivol, originally from an EB Games advertisement, sent to me by Locke Cole, click here for the original unedited scan). 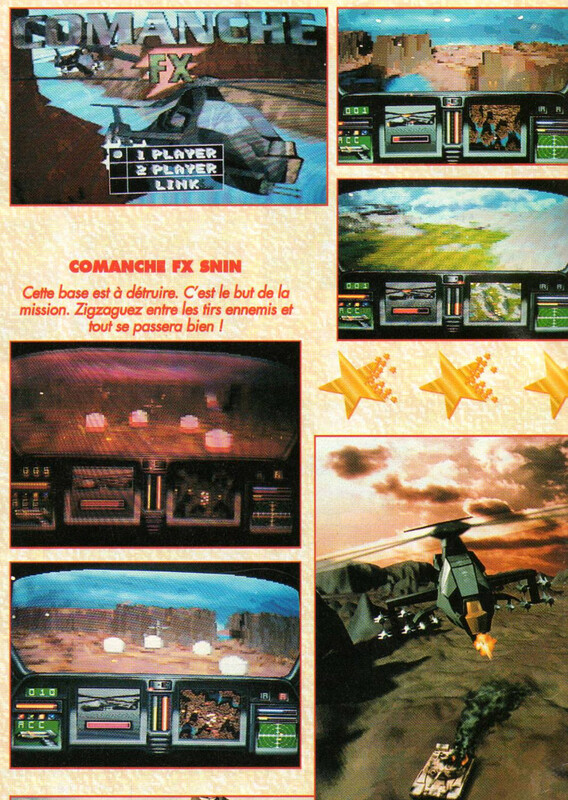 Screenshots from an article in the February 1995 issue of Joypad (a French magazine). Click here for the full article. Scan courtesy of ljlkunio.